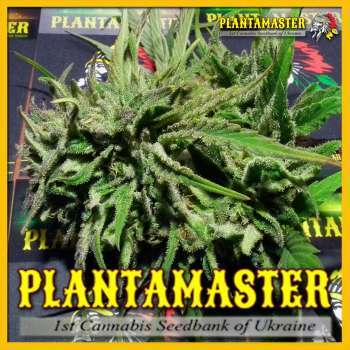 Here you can find a strain description about Iron Curtain Auto and also some user-based reviews and infos directly from the SeedFinder (if available). You can also find the offers and auctions here if Iron Curtain Auto cannabis seeds are on stock at MyCannapot right now. The variety of Iron Curtain Auto aka "Blind" got its name for a powerful and long-lasting effect of anesthesia and drugs. Iron Curtain Auto securely saves the smoker from unpleasant moments such as severe pain, depression, stress. This grade - practically clean INDICA, therefore, requires careful application. Ukrainian Genetics Ruderalis gave our new hybrid gene autoflowering roots, a musky-fruity fragrance added plant wild Ukrainian hemp, which is known to increase remarkably in the most adverse conditions of the Ukrainian climate. Iron Curtain Auto is resistant to moderate drought and waterlogging, in general - behaves as expected this weed (you remember that hemp - is a simple weed?). Iron Curtain Auto will provide a good harvest even for a novice. Suitable for cultivation in hydroponic plants, coconut and ground, we mainly recommend it for Indoor, and an open-air plant, too, feels great. Buy Iron Curtain Auto now at MyCannapot!